The Smart PLC Unit from Micro-Epsilon enables to calculate the measurement values obtained by up to eight laser scanners. This is necessary with many applications, e.g. the contour measurement of large components. The scanCONTROL Smart PLC Unit is an industrial control unit for measurement value calculation intended for laser scanners of the scanCONTROL Smart and gapCONTROL product classes. The Smart PLC Unit is equipped with customer-specific application software for the respective measurement tasks. The determined measurement values are evaluated, displayed, recorded and transmitted via the Smart PLC Unit to higher-level control systems using analog and digital interfaces. 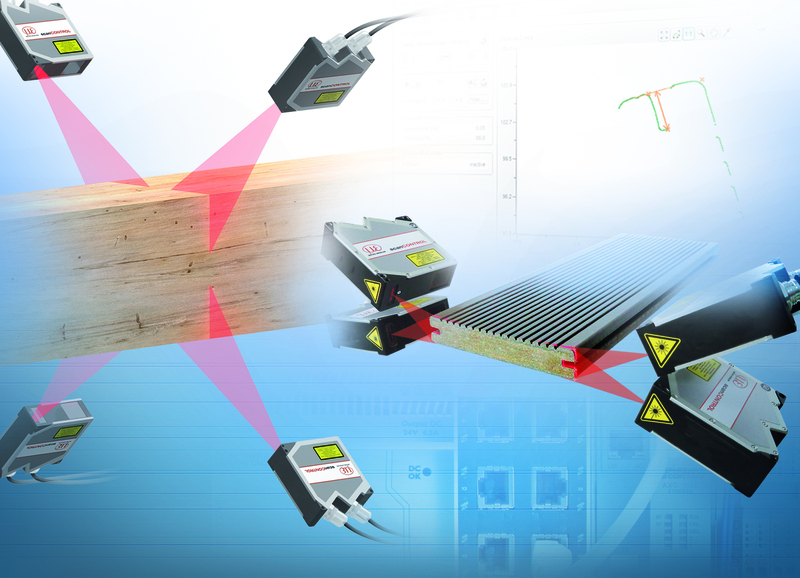 Up to eight laser scanners can be connected to this smart control unit. Micro-Epsilon laser scanners are among the highest performing profile sensors in the world with respect to size, accuracy and measuring rate. Their operating principle is based on the laser triangulation technique for two-dimensional profile detection. They detect, measure and evaluate profiles on different object surfaces. By using special lenses, a laser beam is enlarged to form a static laser line instead of a point and is projected onto the target surface. An optical system projects the diffusely reflected light of this laser line onto a highly sensitive sensor matrix. In addition to distance information (z-axis), the controller also uses this camera image to calculate the position along the laser line (x-axis). These measured values are then output in a two-dimensional coordinate system that is fixed with respect to the sensor. In the case of moving objects or a traversing sensor, it is therefore possible to obtain 3D measurement values. 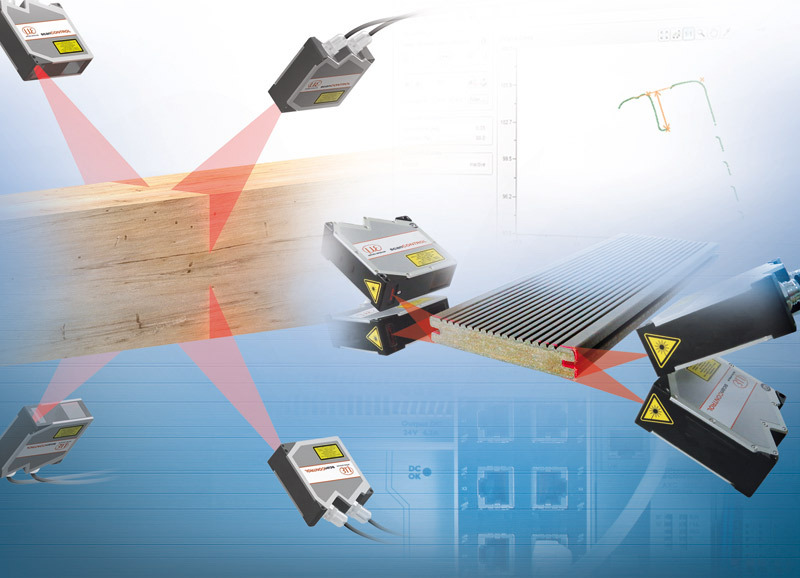 The Micro-Epsilon product range includes laser profile scanners with either red or blue laser diode. Each one has its specific advantages. The Blue Laser Technology is normally applied when the red laser which is used in common measurement tasks is performing at its limits. Unlike the red laser, the blue laser light does not penetrate the measurement object and projects a sharp line. Therefore, mainly organic objects and semi-transparent objects can be measured reliably. With red-hot glowing objects, the blue laser demonstrates its strengths offering a maximum, spectral distance from the infrared light. The blue laser is therefore insensitive to red radiation as is the case with glowing metals. Generally each individual application needs to be checked in order to determine which laser light provides the more precise results.